AM. 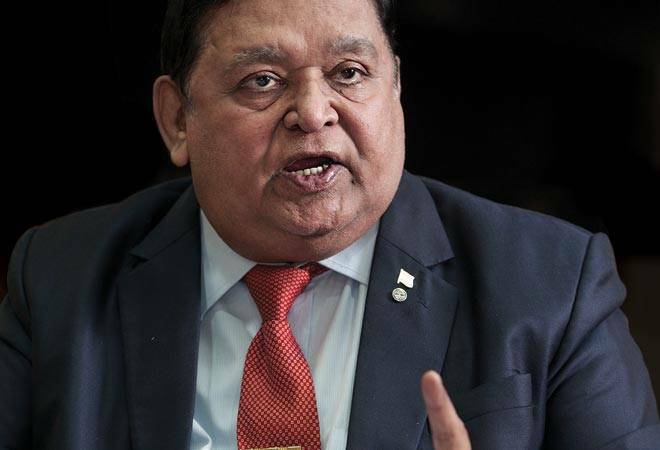 Naik wants to restructure L&T within the next five years to create a much bigger L&T Group, but as a lean, high-tech company. What will L&T look like in say, 2020? L&T is going to hold maximum technological businesses. For example, defence, aerospace, nuclear, smart cities, complex structures will be part of L&T. There are some dissimilar, diversified businesses, which have nothing in common with L&T, such as L&T IT (Infotech), L&T Technology Services, L&T Hydrocarbon (after four years). These will be spun off in the market like what we did with L&T Finance. The remaining businesses will be grouped into verticals - water, electrical transmission and distribution, infrastructure, heavy infrastructure, transportation infrastructure, L&T Power, L&T Heavy Industry (which will include high-tech process, nuclear and other manufacturing). L&T Defence will be by itself or part of L&T Heavy Industry. Then, we own assets like 17 roads and two ports (one port sold and deal signed for another). Once the road restructuring is done that will become L&T IDPL which, once we get good assets, we may spin off. Not now, five years from now. Once we restructure this company, we will start acquiring very healthy assets. Once you have 10-15 healthy assets, you can spin off (as a subsidiary company). Today, I am struggling because seven assets are not up to the mark. The idea is to simplify the structure and to bring more accountability to more businesses. L&T will continue to hold majority shareholding and will be a kind of holding company. The number of companies after simplification can't be reduced below 15. So, 21 companies will come down to 15, and 82 business units will come down to 65-70. Do you see it as a global company? We are not going to be global. We are going to be international primarily in Africa, Far East and Middle-East. IT and technology services will export all over. It will be 30:70 (30 per cent international, 70 per cent domestic). In some cases, it may go to 32 to 35 per cent. We have already started working in northern Africa, eastern Africa, and we are likely to start working in Mozambique. Today, we work in Algeria, Tanzania and Kenya. There are opportunities elsewhere. We are also planning operations in Iran, primarily in hydrocarbons. Similarly, we have started some electrical projects in Malaysia. We are looking at Indonesia. We will find new territories because the Middle East is slowing down a bit. In future, we will keep our international share around 30 per cent. More than that, we are committed to building our own country. That is why you say 'L&T makes India proud'. We also have a tag line - "Builder to the Nation". If I don't do anything here, I will have ten people shouting at me. What are the challenges before the new CEO? For the past three-four years, I have been mentoring Subrahmanyan on a day-to-day basis. He started reporting to me after (K.V.) Rangaswami retired. He is very dynamic, very proactive and extremely hard working. He knows his job since 45 per cent of the company is about construction. I have now given him very difficult assignments like the ship building business that is in losses and the Hyderabad Metro where there are many problems to be resolved. I am now inducting him in IT and technology services. Both will be IPO companies and I have taken him on the board of these companies. He has created L&T Smart vertical, and I will give full credit to him for that. I have given him four new areas - L&T technology, L&T Infotech, Ship Building and Hyderabad Metro. In the coming quarters, almost all will go to him. In another 14 months, I would have given almost everything to him and then watch how things are going for three months. Holistically, the challenge of running a business comes through the number of business heads. Each one of them is a CEO. The challenge will be how to manage all the 15 CEOs. Maybe 500 top-level talent is required to run the 15 companies, each requiring 25-30 people. I'm running 21 companies now. To run all these 15 companies, we need to have globally benchmarked talent and we will continue to look for that class. What is the size of orders you are likely to get in the coming years from the thrust areas, say by 2020-2021? I don't know five years, as the fifth year visibility is yet to come in the case of defence. But possibly Rs 60,000 crore order in three years. This projection is from tenders that are already floated and those that will be floated in the next three months. By 2018, we will have Rs 50,000 crore. These orders are mostly navy, army, bridges and the like. Missile launchers and missile systems are about Rs 10,000 crore in the three-year period. Nuclear may be some Rs 15,000 crore in three years. So you have Rs 50,000-Rs 60,000 crore from defence, Rs 15,000-20,000 crore from nuclear, and aerospace may be Rs 5,000 crore. Now it is a small portion of the business. It will be bigger only when we start doing more portions of the launch vehicles. None of this includes two contracts we have got in defence electronics - battlefield communication and management systems. It is a Rs 40,000 crore project over the next 10 years, divided into two Rs 20,000-crore projects. So give and take, total is around Rs 1 lakh crore order intake in three years between defence, nuclear, defence electronics and aerospace. We are not going to do something which several others can do. We do something which nobody else can do within India. Our target is Rs 1,50,000 crore in different businesses. I am de-emphasising all low-tech and working more on hi-tech areas in every single business. We will reach Rs 1,50,000 crore by doing hi-tech. Low-tech will be left for others. That is $22 billion. Today we are Rs 1,08,000 crore. A M. Naik grew up in a family of teachers in a village in south Gujarat. After studying mechanical engineering at Birla Vishvakarma Mahavidyalaya Engineering College in the state, he applied for a job in L&T. His application was rejected. So, he came to Mumbai and joined Nestler Boilers. He became workshop supervisor in a short span, after which he again applied for a job with L&T. During the interview, he was perceived as "overconfident" and offered a position lower than what he had applied for. In the following years, he impressed the management with his commitment, which led to his mercurial rise. In 1986, he was made general manager. Around this time, L&T faced a takeover threat from Dubai-based Manu Chhabria. To counter him, the then Reliance Chairman, Dhirubhai Ambani, started buying L&T shares from the open market. He bought around 22 per cent stake and became L&T chairman. His sons joined the board. L&T, with no promoter, an equity base of just Rs 56 crore and a track record of profits (net profit of Rs 28 crore on sales of Rs 528 crore in 1987), was a golden goose. However, after the 1989 elections that brought V. P. Singh to power, Ambani's hopes faded and he was forced to quit. Naik became the CEO in 1999. He says he took over the job with an intent of transforming L&T into an entrepreneurially-driven company. "We were a professionally-managed company. But what was lacking was entrepreneurship," he says. In 1999, L&T's market capitalisation was Rs 3,000 crore. Today, it's 45 times higher. Revenues have risen 20 times since then. In November 2001, the Ambanis sold last parcel of their 10 per cent stake to AV Birla Group company Grasim. The Birlas, in turn, sold their stake to the employees' trust. In return, they got L&T's cement business, which they named UltraTech. "The biggest challenge I faced was L&T being taken over. We not only saved L&T but also bought the shares through the trust. The trust's holding is for ring-fencing the company to prevent hostile bids," says Naik. He had inherited a Rs 5,000-crore engineering and construction company. He now presides over a group with interests in finance, IT, engineering & construction, nuclear plants, ports and defence. That's what makes finding his replacement an arduous task. Which are the other new growth areas identified for future? Smart cities, smart world (integrated smart cities), digital - all that can be called 'smart'. For example, Mumbai's entire security system is done by us. First phase of about 7,000 cameras is being set up. Total is about 10,500 cameras. The chief minister inaugurated the first phase recently, some 2,500 cameras. In another seven-eight months we will finish the rest. Then we are doing smart work in many areas like traffic management system, parking management system. Likewise, there are half a dozen things. We have 21 companies doing different things in smart and so, depending on domain knowledge, they can contribute. Our railway business unit today is Rs 20,000 crore, and it will do the required smart part related to railways. Then there is pan-India connectivity through optical fibre, command and control centre. Now, we have Rs 2,000 crore orders for smart. We want to be an integrated developer of smart cities for which we have most of the technologies. What we don't have, we will get through partnerships with the best in the world. We want to be integrated in all respects. We are targeting $1 billion a year by 2021 in smart projects. Already, we have about Rs 22,000 crore railways orders, but these are many things like metros and related railway works. So, I think we will be Rs 35,000 crore in five years. I expect railways to be a Rs 6,000-7,000 crore business in a year in the future for L&T. We will not be in a commodity business where 20 people jump in. We will become one among eight or ten in the world in that field. For example, forging. We are one among eight or nine in nuclear forge. In nuclear reactors, we are one among eight. In major defence equipments like submarines, we are one among seven or eight in the world. Will L&T exit businesses like roads or realty or commodity engineering businesses? Roads or realty is another part of the company where volume matters. As long as we have new ways of doing highways, new methods of construction... speed of execution, and we stay ahead of everyone else, we may remain in that business. This year, we have got about 25 per cent of the market share. But if you ask me whether we will make roads five years from now, I don't know because my defence (business) is going to become Rs 10,000 crore a year, nuclear becomes Rs 3,000-4,000 crore a year, IT and technology engineering services becomes... let's say Rs 7,000-8,000 crore. Right now we are doing Rs 8,000 crore, we are a junior Infosys. Talent availability is an issue L&T has been facing for some time. How do you tackle this? One challenge India has in old economy, not in the new economy, is finding top notch leaders. Today, I am not able to get the top executive for my power business. Under him, there are nine key positions. At the moment, they are not filled. So you go on extending the (tenures of) same people. Now time has come where everybody has crossed the age of 60. One or two people have crossed 64. Once upon a time, L&T was the first choice. Now nobody comes. Fifty years ago when I graduated, L&T was the first choice. It was like that for the last 40 years, but went down over the years. Manpower is a huge challenge, that is all I can say. Hydrocarbon took seven years to get a leader. It is a tremendous task for 82 businesses to create a management team of a high-class world benchmark basis. We are looking for a chief digital officer, a very senior man. He will be the boss of everything relating to smart projects - smart highways, railways, smart water... He will be fathering all the L&T smart businesses across the company. L&T Digital will go out and service all the clients. If you have a top-notch leader, he will create engineers. He will train, mentor, excite and motivate them. Everything depends on the leader. If we have 200 leaders of global benchmark, they can create all the engineers we need. Has L&T got a perception issue? Despite making very sophisticated hi-tech products, L&T is seen more as a road and building maker. We are doing the highest end technology like ITER Cryostat- world's largest high-vacuum pressure vessel. We make nuclear steam generators and we built the fast breeder reactor. For over five decades, we have been partnering with our government to build all the 17 reactors that have come up. We pioneered and mastered indigenous manufacturing technology for end shields. When you look at aerospace, nuclear or defence, there is only one company in India that makes things all of us can be proud of. We are currently building the key structures and turbine generator island for the new nuclear power reactor at Kakrapar. We have Asia's largest nuclear grade forge shop, where we will make light water reactors. We make missile launchers of 15-20 different types of design and every Indian weapon systems is made by L&T, developed over the last 30 years, starting with Pinaka multi-rocket launching system, developed in partnership with DRDO. It was the first 'Made in India' weapon from the private sector to be inducted into the army. We have also been part of all the Agni, Akash, Brahmos, Dhanush, Nag programes. There are many such programmes. What will 74-year-old A.M. Naik do after his retirement in September 2017? (That is, if L&T's board decides to relieve him from active roles.) "One will have to hang up boots someday in life," says Naik. "I will work for nobody, since my life's mission was L&T and I worked here for 51 years." So, first off, he will stay with the families of his son and daughter in the US. Naik's son Jignesh works with Google in California and his wife Rucha is CIO of retailer Safeway. Naik's daughter Pratiksha and her husband Mukul are both doctors in Kentucky. Every year, Naik travels to the US for business as chairman of L&T Infotech, but he rarely stays with his children. "They have given up on me because 'you come one night and go away the next morning'. So, I have promised them, next October onwards you would not have any complaints," says Naik. In addition, Naik has sold part of the shares he held in L&T - which he got through employee stock option - for a major charity foray. He has floated three trusts - Kharel Education Society, Nirali Memorial Medical Trust and Naik Charitable Trust. Healthcare under Nirali Memorial Trust - named after his granddaughter Nirali, who died of cancer in 2007 at two years of age - will be a big area of focus. Naik has already started the Nirali Memorial Radiation Centre in Surat and is planning to set up A.M. Naik Charitable Health Centre, an all-discipline day-care hospital at Powai in Mumbai. Kharel Education Society and Naik Charitable Trust are upgrading and expanding the primary school at Endhal village and the higher secondary school in Kharel. The Kharel Education Society has set up many institutes in three talukas of the region- Navrasi, Chikli and Gandevi. At Valsad, Naik is setting up an expanded modern campus for a vedic school, which teaches Sanskrit and other ancient scriptures. And yes, Naik will pen his autobiography titled, appropriately, V to W - Village to the World. It will tell the story of a person who grew up in a village of 2,500 people and went on to create India's No.1 engineering and construction behemoth.